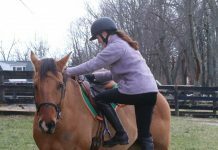 Find answers to common questions regarding Equine U.
I just found out about Equine U and it started awhile ago, can I still enroll? Yes so long as the classes are posted, you may enroll and take classes. How do I know I got my points for enrolling? Go to your My Account page and it will show in your point accrual. How do I graduate from Equine U? Each series of courses has a graduation ceremony and diploma and you graduate from each series of courses by earning a 60% or better on all quizzes. Get 90% or above on all quizzes. Can I take the quizzes more than once? Yes you can. Each failing score will record until you earn a passing grade (60% or better). Once you earn a 60% or better, that is your final score. You will receive an e-mail with graduation details. Where can I go and download my diploma? After the close of classes (last class date), quizzes will be scored and diplomas will be posted on graduation date for download in your My Account page. Do I have to take the prerequisites to enroll in the Level 2 classes? Yes, you do. The material prepares you for advanced the next series of courses. Can I exceed the schedule posted? In other words, can I take the Level 1 courses and immediately take the Level 2 courses without yet receiving my Level 1 diploma? Yes, so long as you pass all of your quizzes with a 60% or higher, you may take the next set of courses. Do I get points for every quiz I take? Yes, you can earn up to 250 points for each quiz. I took a quiz but I don’t see my points. What happened?